In celebration of National Library Week 2014, Musselman Library held its first annual Edible Book Festival. Library staff members created book-inspired treats to share with the campus community. 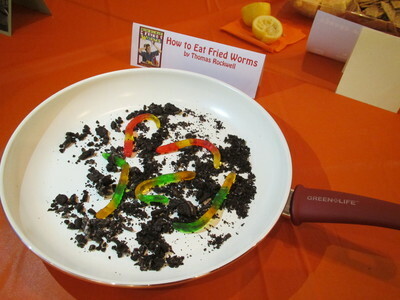 Inspired by a childhood favorite, Clinton K. Baugess' edible entry featured dirt pudding (not pictured) and ‘fried’ gummy worms.